The recent launch of the Khazanah publication on the state of households II that more than 50 per cent of domestic households do not have savings is very disturbing. It is a cause for concern.The STAR newspaper rightly highlighted the vulnerability of such a situation, which should be immediately addressed. The report on zero savings in half of the total households is very revealing but hardly surprising. It is to be noted that 20 per cent of domestic households are only able to survive for less than 3 months should they lose their income and this, in an environment where 65 per cent of the workforce is in paid employment. The economic environment is even more unpredictable with modest growth expected, but no one can predict whether the current employment can be sustained, and if the unemployment rate of 3.5 per cent controlled. The outlook becomes even more risky when household debt has reached a high of 89.1 per cent of total earnings. While we can be assured by a Bank Negara Malaysia report that the ability to service debt remains sound, a high debt economy may not be sustainable when the low income groups are most affected by the rising cost of living, and threats of job losses. A longer-term solution is to raise the income of vulnerable households, but this comes with a tangible increase in its productivity. Productivity has been recognised as an important contributor to the government agenda on the ‘Fourth Industrial Revolution’ which promotes innovation, amidst a period of disruptive technology and change. Put simply, routine and so called low-value work being replaced by large scale automation, outsourcing and innovations are part of ambitious plans to step up productivity in the services sector. As the largest contributor to the country’s GDP at 53.5 per cent the services sector is the largest employer with 8.6 million people. The sector includes financial services, auditing and accounting, outsourcing services, tourism, retail etc. Having the right set of high-end skills is one agenda relevant stakeholders will have to push for as the number one priority. Acquiring new skills has to be part of this productivity agenda for it to succeed. This is of paramount important as employers gradually reduce their hiring for low-end jobs or even resort to outsourcing jobs that are routine and repetitive. Such trends, as already experienced in the financial services industry, have seen the rapid disappearance of clerical jobs over the years. The future of work will go with the changes to the delivery channels of institutions such as banks, and jobs will simply require skills that will require them to interpret and advise, as their roles go upstream. A recent Financial Times report predicts such a trend in the audit business. This comes as a result of disruptions in work flow, automation, and introduction of artificial intelligence which will shape the future of audit. The challenge is to ensure employers do the right thing, which is to encourage and ensure that new skills are acquired, applied and appreciated. It is easier said than done. Encouraging the workforce to be reskilled will require not only persuasion but support. Challenges include putting in place a work culture that nurtures, motivates and encourages right behaviours, including sincerity, and learning. Leaders will need to do more than give lip service and they will need to be inclusive in their approach, and to recognise learning as one of their roles and responsibilities. In today’s digital era, choice of learning is simply made easier and accessible. Many courses from languages to financial planning are delivered on line with study support and resources at affordable prices. Indeed, self-certification with even class room tutorials are available so readily to assist learners to gain accreditation for career progress or even to start their own businesses. The workforce at all levels should be empowered to pick up new skills regularly if they want to stay relevant or serve the markets better. On paper, rising productivity provides the opportunity for a substantial risk in pay for those who have succeeded. The trickling down effect can only take place when the pay policies are well designed to recognise the differences. No one disagrees with the philosophy that productivity gains come with the need to share prosperity through income growth. It is after all a social agenda that a high-income nation comes with higher productivity and a better paid workforce. Tay Kay Luan is committed to the social agenda of making education accessible to all. 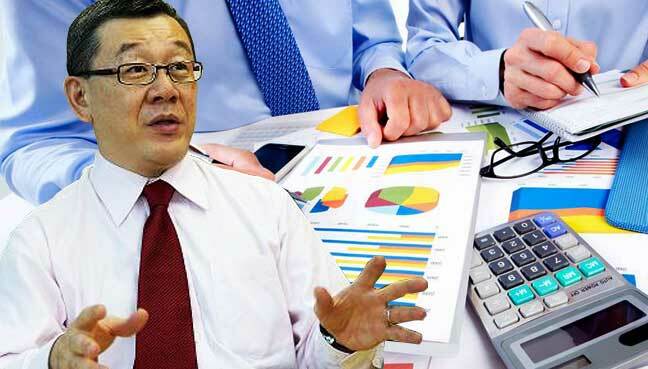 He is the former Chief Executive Officer of the Asian Institute of Chartered Bankers (AICB).